Click the images above to access the papers. Additional data from the NCAR CESM simulations may be found at NCAR. Among other papers, results from these simulations are described in Model evidence for a seasonal bias in Antarctic ice cores (Erb et al. 2018, Nature Communications). The instrumental record—the recent period of extensive and reliable climate observations—extends back only to around 1850 C.E., a drop in the bucket of Earth's climate history. To study the climate prior to this period, proxy records such as trees, corals, and ice cores are a valuable asset. General circulation models also provide a tool to investigate climate states, but both proxy records and model simulations have strengths and limitations. The Last Millennium Reanalysis project uses the extensive proxy network over the past 2000 years together with climate model output to better quantify and understand the climate changes during this time period. The Last Millennium Reanalysis project is a data assimilation framework. Output from long general circulation model (GCM) simulations are used as the climate "prior" while proxy record inform the state of the climate system at discrete locations. Multiple climate fields can be reconstructed with this methodology, offering a new perspective on climate of the past 2000 years. This 2000 year long reanalysis will be a useful resource for climate scientists, and studies are underway to better understand U.S. drought, rates of temperature change, responses to explosive volcanism, and a variety of other features over this fascinating time period. Over the past several million years, climate has changed dramatically as the Earth has gone in and out of glacial periods. To understand how changes in Earth's orbit, CO2, and ice sheet extent have led to dramatic climate variations over the past few million years, I have run idealized climate model simulations to isolate the climate responses to each of these factors individually and evaluate the results against proxy records. Improved understanding of these forcing-response relationships will help us better identify the role of different forcings in causing past climate change and, importantly, will help us better predict the effect of changing greenhouse gases on the future climate system. This work has focused on global temperature and precipitation response patterns as well as regional responses in the equatorial Pacific, the Maritime Continent, and the monsoon regions. By scaling the single-forcing response patterns by time series of past forcings, linear reconstructions of past climate can also be made. Modeled changes in annual-mean surface air temperature (°C) in response to altered (a) obliquity, (b) precession, (c) CO2, and (d) ice sheets. Insignificant changes are hatched. Variations in different climate forcings over the past 500,000 years. This methodology provides a relatively cost-effective way of testing modeled climate responses and quantifying the relative contribution of each forcing in causing long-term climate change. These linear reconstructions can be compared against long proxy time series, such as SST from equatorial Pacific sediment cores, to test the model results against data. 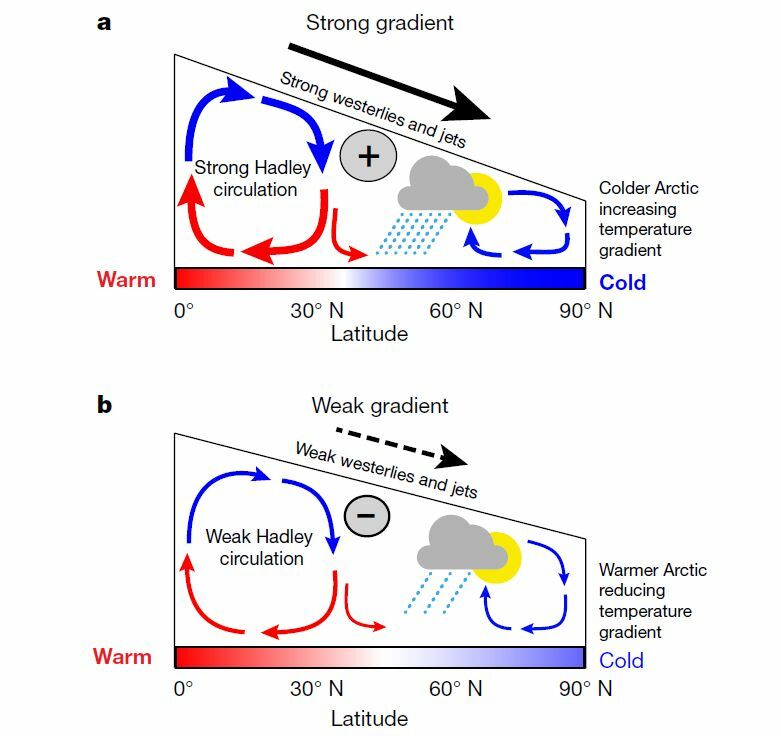 Proxy records provide a perspective on what past changes occurred, while climate models help scientists investigate the mechanisms behind those changes. The intersection of climate modeling and proxy records, which is a central focus of my research, holds great promise for clarifying the processes that influence climate change.